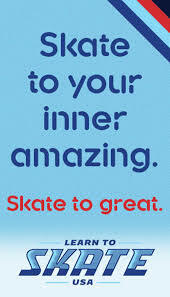 Many beginner skaters who will start competing will come across a very unique judging system. It’s a very confusing skating judging system and the scores used to compete the final results and standings are difficult to interpret and understand. Many of my skaters and parents have asked to explain how the results are tallied and I will attempt to help clarify many of the confusion when reading the score sheets. I was just recently accepted by US Figure Skating in their accelerated track to become a trial judge and in this new capacity, I hope to better assist in helping you all understand the judging system. The 6.0 system is an old scoring system is used mainly in lower level non-qualifying skating competitions, including basic skills through pre-juvenile levels. The judging panel comprises of an odd number of judges, usually ranging in size from 3-9 depending on the competition level. It’s a judging system based on majority and the winner is the skater who placed highest by a majority of judges. Skaters are compared and ranked against each other based on an absolute range from 0 (horrible) to 6 (perfection) for technical merit and presentation quality. These scores are then tallied and translated into a rank such that the skater having the highest score will receive an ordinal of ‘1’ which is the highest mark. These marks are how the standings for each skater is computed and it’s what gets reported on the final results sheet, showing how each judge scored the skaters.